Take a look at this 2018 Fontaine HCICF12WSA. It is Stock# 43473 at TruckerToTrucker.com. 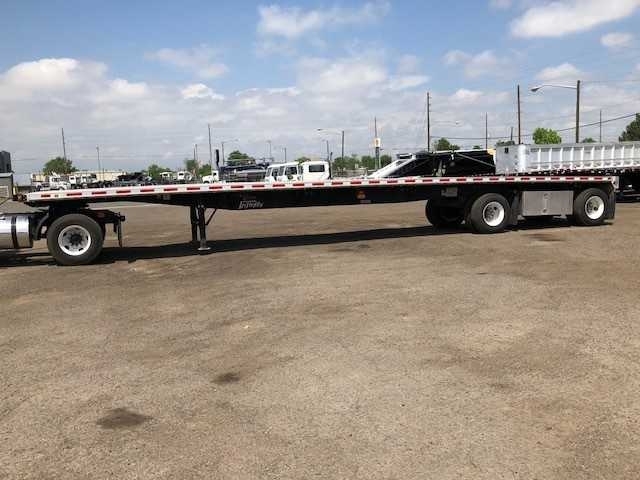 2018 Fontaine Flatbed TrailerTandem, Air Ride Suspension, Steel Disc Wheels, 48´x102", Flooring 1 1/8" Aluminum with 4 Wood Nailer Strips, LED Lights and Tool Box!! Price Includes FET!